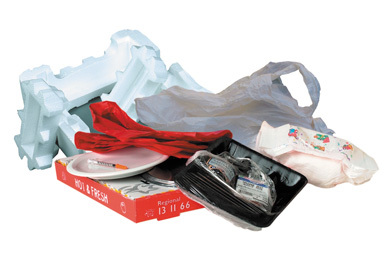 Most household packaging waste is recyclable and need not end up in your garbage bin. You can reduce the volume of waste created in the home simply by using our service to recycle as much as you can. Recycling will also help to conserve our environment and reclaim valuable resources. Despite news out of China about their importing of recyclable material, Woollahra Council’s kerbside recycling program remains in place. We are committed to maintaining and improving this system and encourage all residents to continue to use the service. Some of Woollahra Municipality’s recycling is processed in Australia, though a proportion of it is exported. The Chinese government recently tightened its rules for acceptance of recyclables imports, meaning a new national solution for recyclable waste is required. We will be working in consultation with the recycling industry and state and federal governments to develop future recyclables strategies to continue to provide the best outcomes for the community, while helping to conserve our environment and reclaim valuable resources. If you have any questions about this service, please contact our team on 9391 7000 or email wasteadmin@woollahra.nsw.gov.au. Thank you for helping us divert waste from landfill. All residents have been provided with a 120L or 240L co-mingled yellow-lid recycling bin. This means all recycling can now go into the one bin. Recycling is collected weekly on the same day as your domestic waste and organics service. Council can also provide recycling posters/brochures for unit blocks upon request. Phone Customer Service on 9391 7000 for more information. Make sure all bottles, jars and tubs are empty before placing them in your bin. Give them a quick rinse if you can. Plastic bottles - remove plastic labels, lids and rings from the neck of plastic bottles. Glass bottles - remove metal lids and rings from the neck of glass bottles. Paper bags - remove the handles if they are not made of paper. For example, handles made from ribbon or twine. Remove any plastic wrap from newspapers before placing them in your bin. Place items loosely in your bin. Do not put recycling in plastic bags. If this sounds a little confusing, take a look at the video created by the Boomerang Alliance which will guide you through these tips. Be careful not to contaminate your recycling bin or crate by including materials which cannot be recycled. Contamination may result in your bin being rejected from collection, increased collection costs and material intended for recycling will have to be sent to landfill.